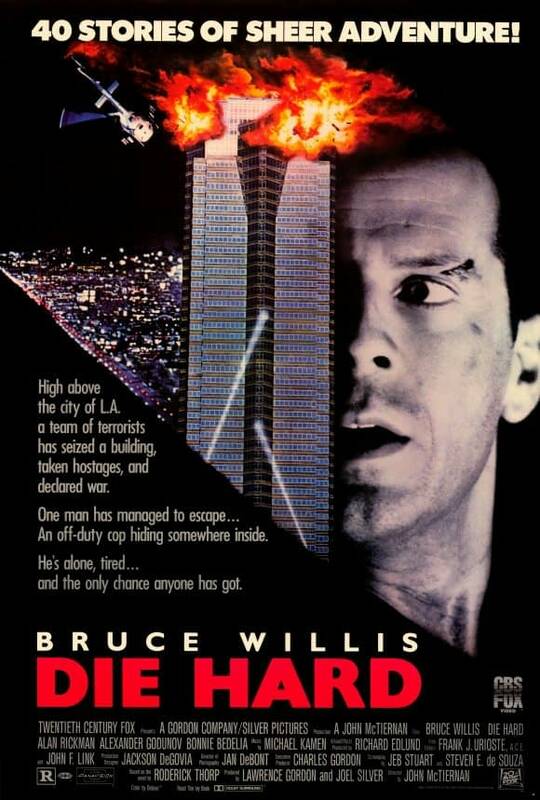 Die Hard celebrated its thirty-year anniversary as a frequently contested Christmas movie, and a culturally significant film. There is no way director John McTiernan could predict this late 80’s action film would become so meaningful to so many. Die Hard permeated the cultural consciousness such that even those that have not seen it can quote it and understand references to the Christmas Eve attack on Nakatomi Plaza. This brings two questions to my mind; why does Die Hard hold so much significance in recent years? What is it like to watch a film for the first time that is so prominent in pop-culture that it is already familiar? The rise in popularity of Die Hard—and its assuming a place of honor in the film libraries of its fans—comes down to age, primarily. The film is now thirty-years-old, meaning the core audience that grew up with this film are now middle-aged or approaching middle age. What this means for the film is that it has a nostalgia factor which amplifies its quality. It is only in recent years that the film’s core audience could begin to share it with their children, usually around the holidays. I can appreciate this tradition, it is an unconventional choice for a Christmas film, and as such it has a strong appeal. However, that is not the only reason it has such staying power in the common consciousness. The principal protagonist, John McClane—played by the indomitable Bruce Willis—is a modern-day Everyman. A regular police officer, with problems of his own, is thrust into a situation well above his pay-grade and become a reluctant hero. It is easy to identify with this character, even imagine yourself in his place—but not in his shoes—a fantasy many of us have entertained. What is it like to watch Die Hard for the first time in 2018? I will tell you, but first I have to say it was not until recently that I realized I had, in fact, not watched Die Hard. This realization was surprising because I already knew all the salient details of the film, and because I am 38 years old. I have engaged in conversation about Die Hard, I have made Die Hard jokes and references in conversation. I could quote multiple scenes. That is the power of the collective consciousness of pop-culture, I had gained knowledge of a film without viewing it once. This year, I changed that. It was time, and I was tired of living a lie, not that I had ever actually admitted to seeing it, it seems to be universally assumed that everyone has watched it. The first feeling I encountered was that of being frustrated, it was like two hours of deja-vu. Even though I found everything vaguely familiar, it was still a new experience. The biggest takeaway and most noteworthy observation I made was the genuine appreciation for the genre-defining work of director John McTiernan. I saw multiple examples of direct inspiration for modern action films, from camera placement to overall structure. While the same could be said of films that preceded Die Hard, but I see more direct influence while older films are a more indirect influence on McTiernan. On top of that realization is the feeling that when Die Hard comes up in conversation that I will no longer be a complete fraud. I also now have a new respect for those that insist upon Die Hard being a non-traditional holiday film, my indifference has evolved into well-founded support, and it is now in my holiday film rotation.